Usually emerging during one’s late teens or early adulthood, these teeth can often pose problems due to their angle or positioning. Specialist Dental Group’s wisdom tooth removal team has been performing wisdom teeth extractions and other surgical procedures for many years. We always ensure that we work to provide patients with peace of mind during the surgery. When Would I Need to Consider Wisdom Tooth Surgery? Not everyone has wisdom teeth. For those who do, there are generally a total of four wisdom teeth, two on the upper jaw and two on the lower jaw. It can be either impacted or non-impacted. In the event of an impacted wisdom tooth – tooth partially or entirely buried beneath the gum line and is therefore unable to erupt properly – surgical intervention may be required. The tooth may be growing in at a wrong angle, pushing against another fully-developed tooth. It is not only painful at times (due to the surrounding gums being infected) but is also a trap for food and a breeding ground for bacteria. This results in the wisdom tooth being susceptible to tooth decay and may even affect the healthy tooth next to it. Therefore, wisdom teeth removal is of utmost importance. Wisdom tooth that are fully erupted (non-impacted) or completely buried in the bone, can be left alone if no pain or swelling is experienced. Nonetheless, as there is a small risk of infection and cystic development, it is advisable to monitor these wisdom teeth regularly. Can I use Medisave for my Wisdom Tooth Surgery? If you are a Singaporean/PR, you may use Medisave for your wisdom tooth surgery. The exact amount would depend on the complexity of the procedure and is based on a per surgery basis, subject to Medisave withdrawal limits. More information on using Medisave for your dental surgery in Singapore can be found here. The team of dental specialists/dentists at Specialist Dental Group is ready to assist local and international patients by providing a diverse range of dental services. For almost 40 years, our practice has been performing a variety of surgical procedures including wisdom tooth extractions, jaw surgery and dental implants, improving the lives of many patients in Singapore by providing effective treatment for dental discomfort or inconvenience. Get in touch today about our wisdom teeth extraction surgeries in Singapore and send us a message via our enquiry form with any questions you may have. You can also call us at (65) 6734 9393 (Mount Elizabeth Orchard) or (65) 6471 5150 (Gleneagles Medical Centre). Wisdom tooth removal is performed when the wisdom tooth is unable to erupt properly and is growing at a wrong angle/place. Depending on the position of the wisdom tooth, an extraction or a surgery may be required to safely remove the wisdom teeth. Our dental specialist/ dentist will find out the details of your medical and dental history, go through a consultation and examination and take a digital X-ray of your teeth to enable a thorough and detailed diagnosis, to ascertain if you require wisdom tooth removal. Depending on the position of the wisdom tooth, the procedure will take 15 to 45 minutes. Removal can be performed under local anaesthetic to numb the tooth and surrounding area. If the tooth has not come through the gum, a small incision will be made in the gum. A small piece of the bone covering the tooth may also need to be removed. The tooth may be cut into smaller pieces to make it easier to remove through the incision. You will feel some pressure just before the tooth is removed. If an incision has been made, dissolving stitches will be used to seal the gum. *All fees are subject to 7% Singapore Goods and Services Tax. All fees are subject to change without prior notice. Wisdom tooth removal is usually placed under local anaesthetic. However, you may choose to do the procedure under sedation. If you are a Singaporean or a permanent resident of Singapore, Medisave may be utilized to fully cover the applicable fees for wisdom tooth surgery. The amount ranges based on the complexity of the surgery and the final amount covered will be decided by the CPF Board. 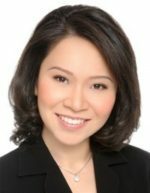 Who are the Dental Specialists/ Dentists in Singapore? Specialist Dental Group’s Wisdom Tooth Removal team comprises of internationally qualified dental specialists/ dentists from the specialty areas of oral & maxillofacial surgery (reconstructive dentistry), periodontics(gum treatment), and prosthodontics (teeth replacement and cosmetic dentistry). We can usually schedule for you to see our dental specialists/ dentists within 24 hours and depending on your dental condition, it may be possible for you to remove your wisdom tooth on the same day as your initial consultation. What are the Types of Wisdom Tooth Removal? The wisdom tooth is positioned close to the surface of the gum and is extracted in a straight forward procedure. Is extraction of wisdom teeth is necessary? I do not face any problems, but there are times where I feel that the wisdom teeth are shifting and affecting the neighbouring teeth. What should I do? What are the risks of wisdom teeth removal?